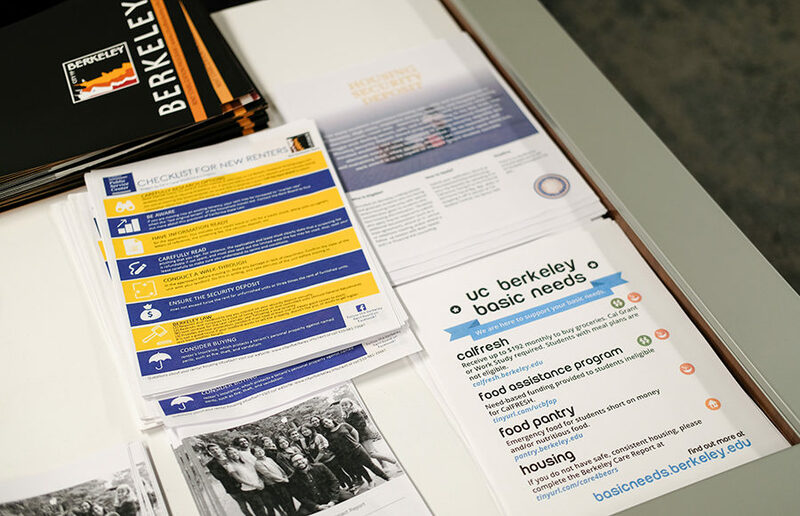 The Basic Needs Center opened its doors to the campus community Monday, making it the first center on campus to offer a wide variety of resource assistance programs to students. CITY AFFAIRS: In the upcoming November election, Berkeley voters will elect new commissioners to the Rent Stabilization Board. Here's our take. Berkeley is in the midst of a dire housing crisis, and now more than ever, the city’s Rent Stabilization Board has an incredibly important role to play in regulating rents and protecting tenants’ rights. This November, Berkeley voters have the opportunity to elect five new commissioners to the board. Berkeley needs commissioners who are going to fight for tenants’ rights. And those candidates are Alpert, Chang, Laverde, Poblet and Selawsky.